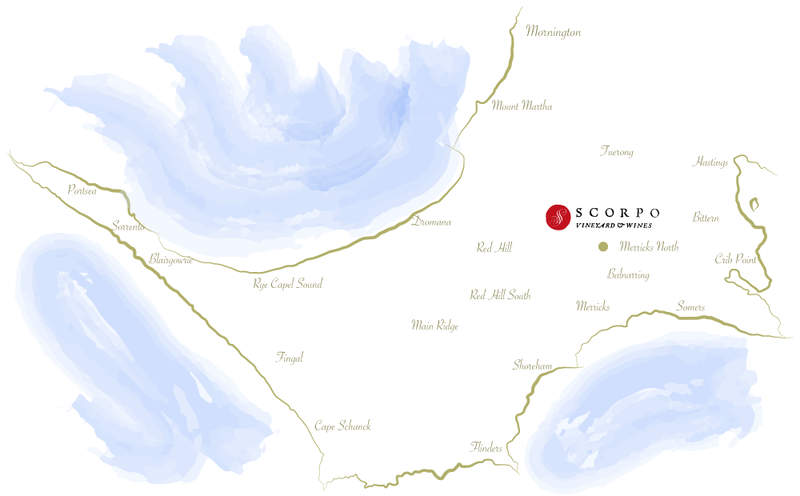 The Mornington Peninsula climate has changed little since Eocene times, and the Scorpo Family Vineyard in Merricks North is located in the heart of this region. Fossil evidence suggests that the climate is much the same as it was before the Older Volcanics, which means that the vineyard is blessed with a stable climate in most years, and offers the perfect combination of land, aspect, soil type and microclimate. 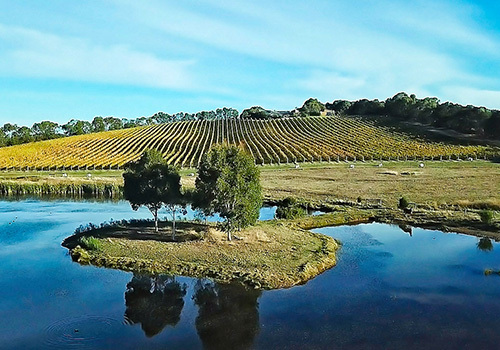 The chardonnay, pinot noir is planted on red/blown, clay/loam soils derived from Tertiary Eocene (40 million years old) Older Volcanics, between an altitude of 70–100m on a North-North-East facing 10% slope – a brilliant suntrap and ideal drainage to slowly grow and ripen grapes. All the Chardonnay, Pinot Noir, Shiraz, and a small amount the Pinot Gris is planted on the south/west side of the ridge, with a 14% slope. Most of the soils are older volcanics with the south/west corner having been cut through millions of years of erosion, into silurian (500 million years old) clay. Red/Brown, Clay/Loam soils derived from Tertiary Eocene (40 million years old) Older Volcanics. 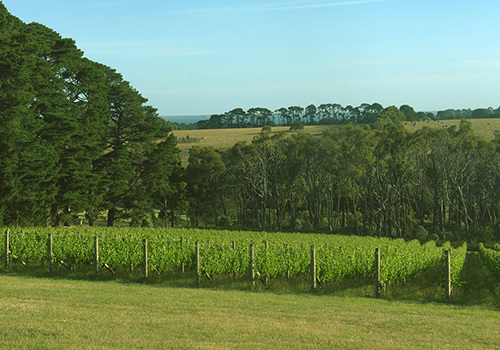 Situated 1km from the Scorpo Family Vineyard, Stanleys Road Vineyard is on the ridge to the south. Soils are similar; Eocene older volcanics with a northerly/north eastern aspect for the Pinot Noir (MV6+115 clones) and an easterly aspect for the Chardonnay (95 + 76 Clones). The vineyard was planted in 2000.